To the Seelbach! An invitation to a Great Gatsby book discussion. Home→Culture→Literature→To the Seelbach! A Great Gatsby book discussion? UPDATE: 13 Sept. 2012 – The Great Gatsby online book discussion begins Thursday night, 13 September at 8:00 p.m. EST. The final discussion will be conducted from Louisville’s Seelbach Hotel where participants and guests will meet at the famed accommodation’s bar at 1:00 p.m.
I’ve probably read The Great Gatsby three or four times. Like many first-time readers of the classic, I originally found the book only tolerably. As I grew in both age and experiences I returned to the tale of Jay and Daisy with a renewed interest and appreciation. By now, it’s a favorite read. I enjoyed the Robert Redford film adaptation, but more because I was seeing Redford in his prime as an actor rather than a fair comparison to the book. Still, the movie was fine and I’m now interested in seeing the re-make, or what I hope is more of a re-interpretation – there is a difference – starring Leonardo DiCaprio, another actor I feel has worked hard to become good at his craft. With all of this new attention to F. Scott Fitzgerald’s 1925 novel, I think that a good online book discussion is in order. 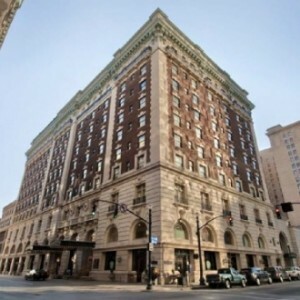 Never missing an opportunity to enjoy a cold martini in good company, I also think that a road trip to Louisville’s Seelbach Hotel, mentioned in passing as a location in Gatsby, is in order. As for the timing, I think September looks to be a good time. Won’t you help with a few suggestions as to the methods with which we might accomplish this discussion and culminating visit?